Really, who in the worlds of geeks and movie-goers has not heard his name? What he does right in his storytelling is fairly obvious, but so is what he does wrong. 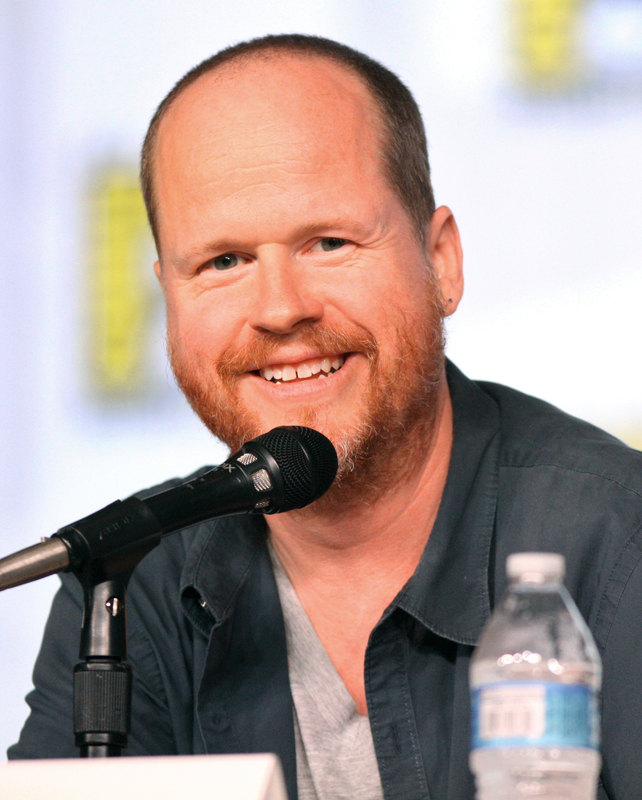 First and foremost, Whedon and his colleagues are fairly good at crafting complex, diverse characters who are not only three-dimensional, but four-dimensional. They change over time, and usually in ways we can believe. My personal favorites are probably Faith Lehane, the fallen hero turned reformed villain, and Wesley Wyndam-Pryce, the fop who becomes a leader. Whedon is also renowned for the dialogue in his works. Somehow, he and his colleagues are just able to make everyone sound genuine and alive, yet with pointed, efficient, and often symbolic things to say. No one is wasting their breath, and we are very well entertained. On a similar note, he speaks to themes of humanity in ways which are entertaining and relevant to us. For one thing, he is famous for his strong female characters, which I will let him elaborate on in his own words, and for which I admire him. For another, his collections of protagonists are often like family to one another, and the stories between them are constantly heart-rending and heart-warming. For yet another, the issues he confronts, such as female empowerment, elitist powers ruling the world, and the value of human life and freedom, are things which resonate with us, the audience. So, Whedon is typically very skilled, but he’s not infallible, and he learns from his mistakes. 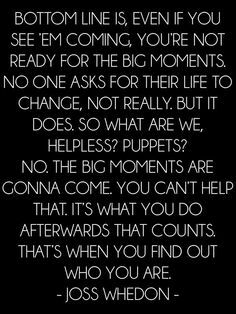 In Dollhouse, he admits that he lost focus on the theme, the message, and he doesn’t seem to have repeated that mistake as of yet. Remember, when crafting a story, always keep the point of it in the forefront of your mind. On a similar note, Whedon’s commentary on Serenity show how a creator can take one thing from their story, and we, the audience, are free to take another. He comments how he was speaking to the theme of “sin” being an outmoded concept, but I took something else entirely from it, namely that sin exists, and any attempt to rid humanity of it by force is doomed to failure. All you’ll have in the end is a wasteland piled high with bodies. You can strive to do better, to be better, and to help others do the same, but you cannot force it. However, though Whedon and I disagree on the true point of his own work, such a discussion of ideals and humanity is precisely what Whedon wants. He himself has a point to what he does. Contrasting his better works with his worse, it strikes me all the more: he does good work when he keeps that point in mind. Contrary to what many people think, entertainment is not just about being entertained, but also having a discussion with the whole of the human race. And that is something Joss Whedon does rather well. 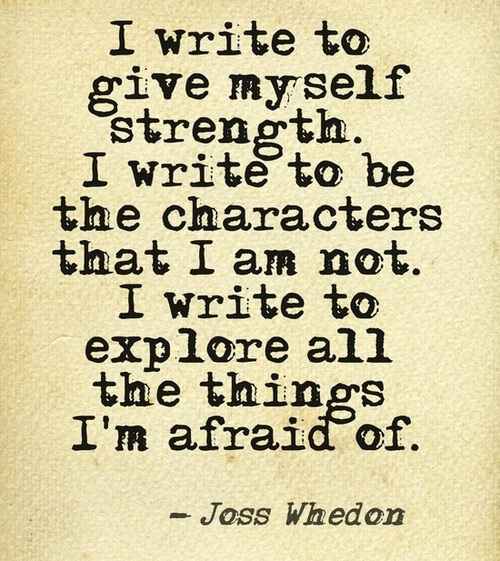 This entry was posted in Masters of Storytelling and tagged Joss Whedon. Bookmark the permalink.